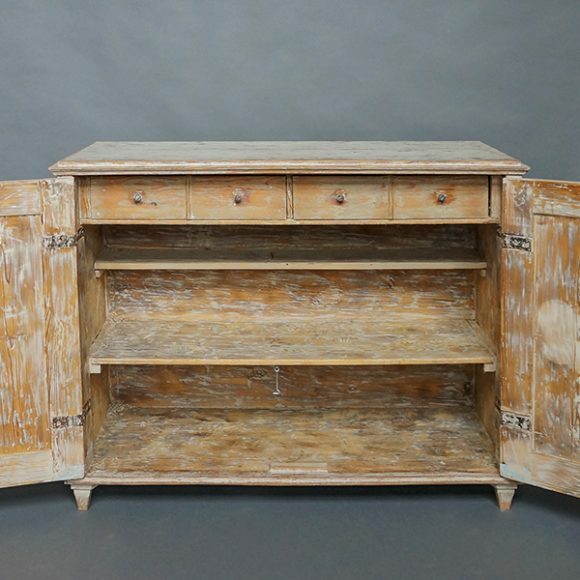 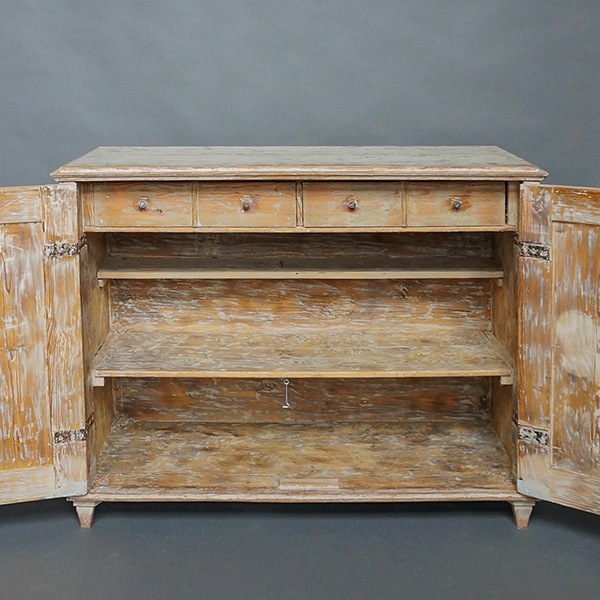 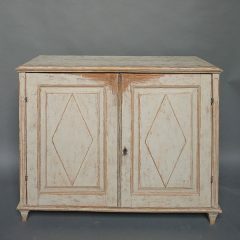 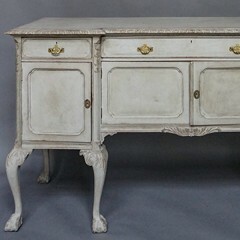 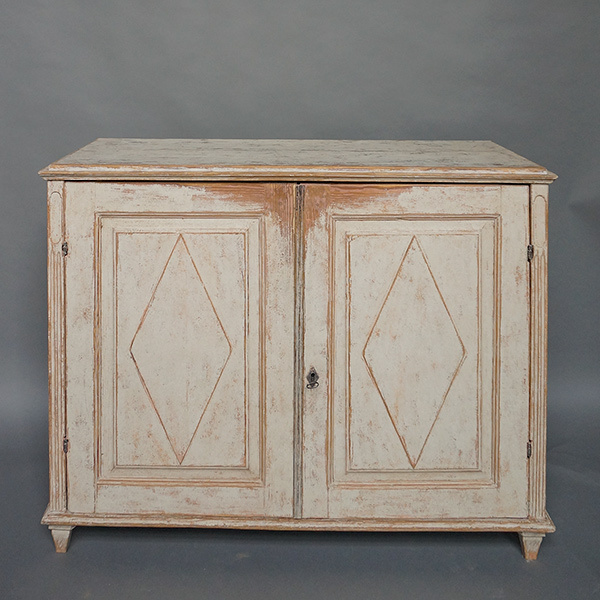 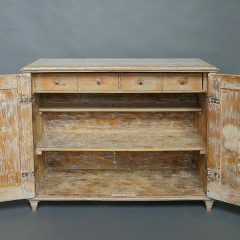 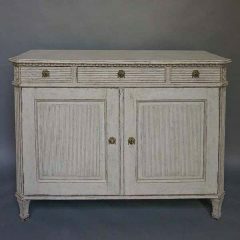 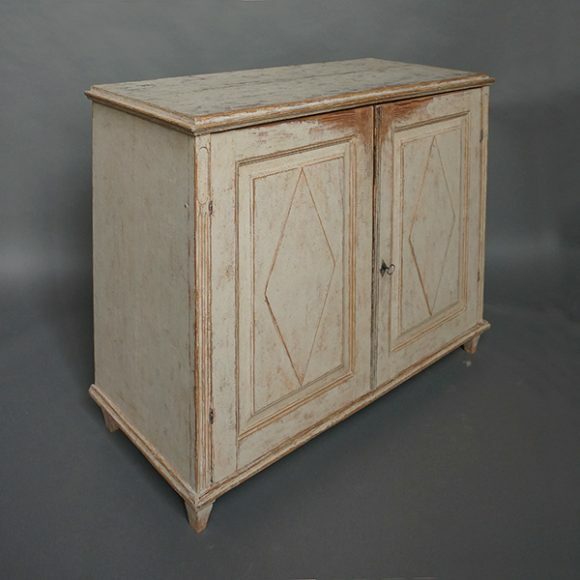 Gustavian two-door sideboard, Sweden circa 1820. 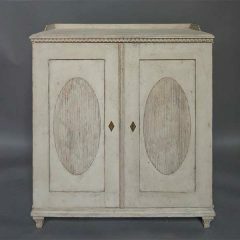 Raised panel doors and reeded detail on the corner posts. 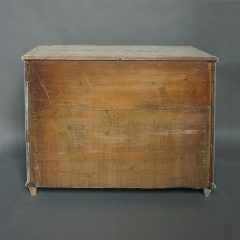 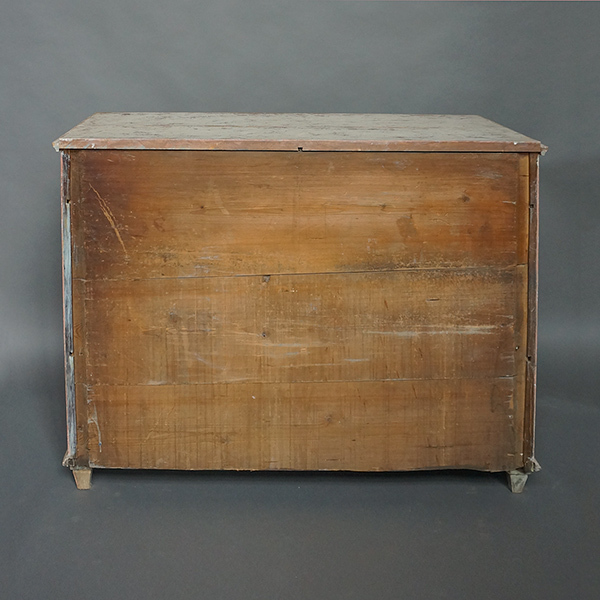 The interior has four small drawers above two fixed shelves.